Video of a juvenile hearing involving Gabe Parker now public. Newly released Kentucky State Police search warrant records reveal details about the accused Marshall County High School shooter Gabe Parker. According to records, a gun in a closet in Parker’s home had gone missing the day of the shooting. Parker's step-father Justin Minyard opened the door to a Kentucky State Police detective shortly after the incident occurred. He said there was one firearm stored in the closet. "He checked the closet and the firearm is missing." There was also ammunition in the closet. Minyard had told the police that he was unaware of any changes in Parker's behavior or recent traumatic events that would indicate he was planning the shooting. Police say Parker used a handgun to fire on classmates in the school commons area on the morning of January 23, killing two and wounding 14 others. According to a report, Parker’s room was decorated with "weaponry, violence and military information." The report also noted a knife sheath without a knife in it. Other reports found Parker played 'first-person shooter' video games and had in one game, 'Roblox,' a character that "appeared to be a German soldier from the WWII era." Police say that Parker had an interest in WWII history and the Nazi Regime. Police said Parker's phone found that the suspect had shown "memes on his phone about Spongebob and school shootings. Other information revealed that the suspect may have called his mother from the scene utilizing this phone and advised her that there had been a shooting." Interviews with students described as Parker's friends found that one said they primarily used Snapchat to communicate, but also Facebook and Instagram. One student showed police a screenshot of a Snapchat group where Parker's account showed a message dated 6-20-17, "sorry for the kids that I may hurt in 42." According to the police report, the message would go onto say that if you add up the date of the shooting 1-23-18. Below a picture of the number 42 was the caption from Parker's account that read "don't panic," suggesting a reference to the Hitchhiker's Guide to the Galaxy. A brown and tan satchel had been taken into custody. Marshall County Sheriff Kevin Byars observed Parker exit the weight room at the high school carrying a brown bag on his shoulder. Parker was ordered by Byars to drop the bag, which he did. Inside the bag was found a copy of the 'Communist Manifesto' and a "large Winchester brand sheath knife." Also noted among search warrants is a student whose phone had been seized by police about an hour after the shooting. Police said she had taken photos of the crime scene and that those photos had circulated on social media. The Kentucky Court of Appeals ordered last week the Marshall County Circuit Court to release previously sealed records since Parker, who is now 16, is being tried as an adult and has been indicted and arraigned. He was 15 at the time of the shooting. The Kentucky Court of Appeals ordered on Thursday Marshall County Circuit Court Judge Jamie Jameson to release court documents, including an arraignment video involving the Marshall County High School shooting case. Marshall County High School has invited a school crisis expert to spend three days assisting students and staff in their recovery from a school shooting that killed two and injured 18 others on January 23. Kentucky's chief justice has denied a motion from prosecutors seeking to remove a judge from a high-profile school shooting case. 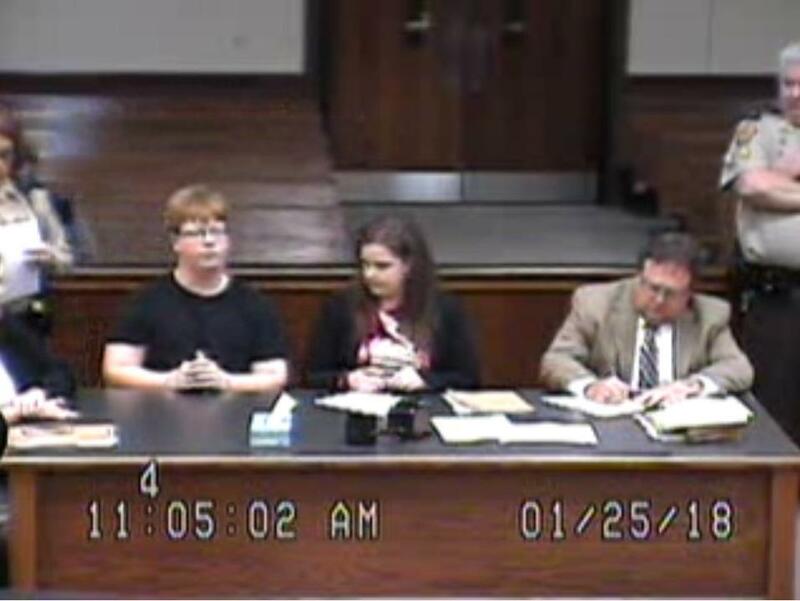 Circuit Court Judge Jamie Jameson denies any misconduct in the Marshall County High School shooter case. That’s according to responses filed by his office to the Kentucky Court of Appeals to a writ filed by lawyers representing Paxton Media Group.